Here I was: among nearly 50 ardent practitioners of the Optical Industry listening keenly to the speakers who were telling them how best to reach out to the 40+ age group customers. It was interesting to note that most of the students too were in the age group of 40+ themselves and yet had the bite in them to learn more. Incredible it was. 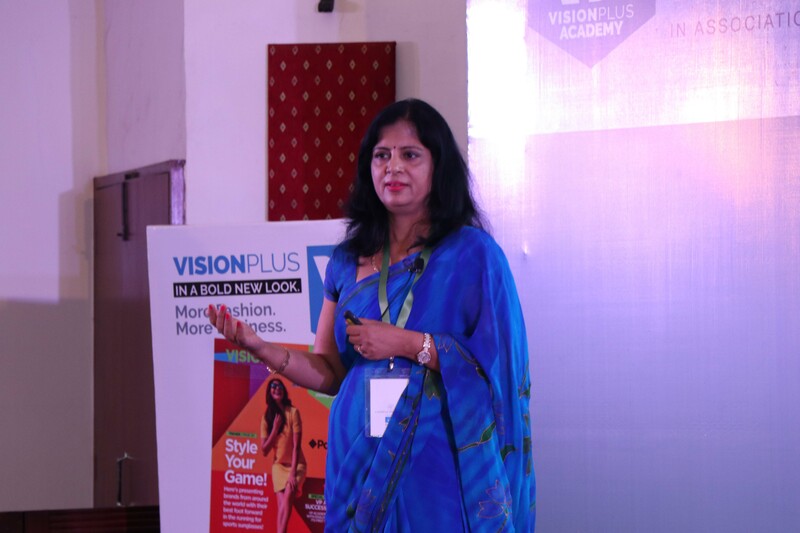 As I understand, when it comes from a credible source and from a team of people who have handheld the vision care industry to building their business by a B2B Magazine – Vision Plus; to a You&Eye Pictorial to announce to your HNIs the trendsetters that the opticians have stocked; to the Vision Plus Academy to impart the education; and to You&Eye Awards that is a result of industry, customers and the critics’ judgement. No gaps – but a 360-degree involvement that has no room for excuses, but to just be the best. And why not?! It is the opticians who are the window to one of the most important part of the body – The Eye. Hence in all earnestness, the academy session started with our CEO Siraj Bolar greeting everybody and thanking them all for participating in the journey of the never-ending knowledge, followed by Indroneel Chatterjee of Essilor underlining the need to gain knowledge so as to help each of the participants in their business better. Shajan Adolph of Essilor began Session one, focusing on Ophthalmic Lenses – to suit the lifestyle of a 40+ individual. 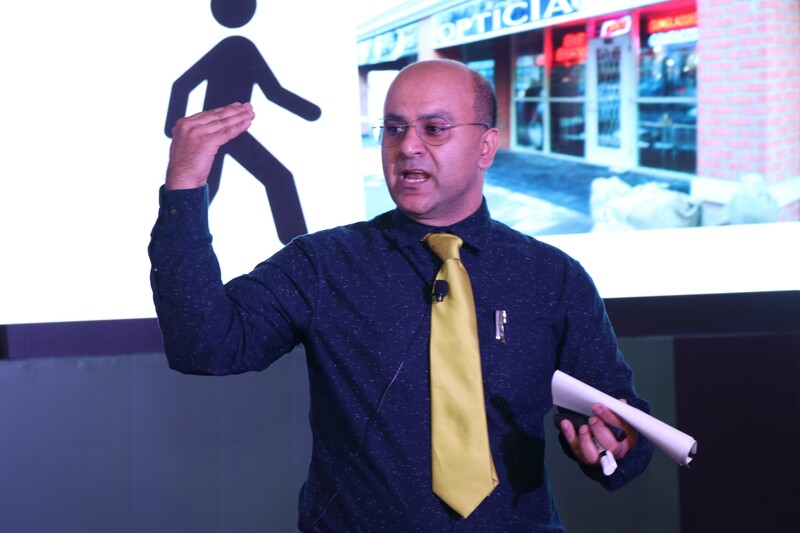 Shajan came across as a thorough corporate speaker who knew exactly what he was speaking about and indeed carried the session with well-appointed slides to showcase his point. This was followed immediately by Prof. Monica Choudhry talking on Contact Lenses. Two back to back session – phew!! Starting from 10:30 am to 12:15 pm and from thereon to almost 2:00 pm. Again, I would like to repeat, that it was astounding to see the optical industry people comprising of both men and women listening and participating in the sessions intently and also asking questions to understand a point better. Many in the audience did that. Prof. Monica Choudhry came across as a college principal who knew every bit of the subject that she was teaching and being bilingual could establish her point equally well with the audience. Interesting to note here, that the audience was predominantly and obviously from the Northern region, some who did a five-hour drive from Chandigarh and some others who came all the way from Satna, fresh and alert even after going through an almost 14-hour train journey. Credibility indeed begets the Incredible. After a sumptuous lunch at the Vivanta by Taj (Ambassador), the venue for the VP Academy session, came the third speaker – Aasim Rahman. His vigorous style of ensuring that most of the participants interacted resulted in everyone staying bright at the post-lunch session. To the extent, that even the two earlier speakers chipped in with supplementary pointers. The session lasted from about 2:30 pm to almost 4:30 pm followed by a well-deserved tea break, thereafter. Without wasting much time, the tea break was used to ramp up chairs for the photo of the certificate holders with the delegates. The feedback has been positive, with suggestions coming in to take the concept even further to go even more serious with optometric education. The next session is all set to take off on October 5th – a Friday, at Chennai. We have chosen this date with a quick poll from some of the expected participants. At Chennai, our focus is going to be on Practice Management. It will have experts guiding us all on the various aspects of stock management, inventory and related issues including online challenges. Looking forward to meeting you. Do connect with us on the VP ACADEMY Number: +91 88283 38899, to confirm your knowledge seat. 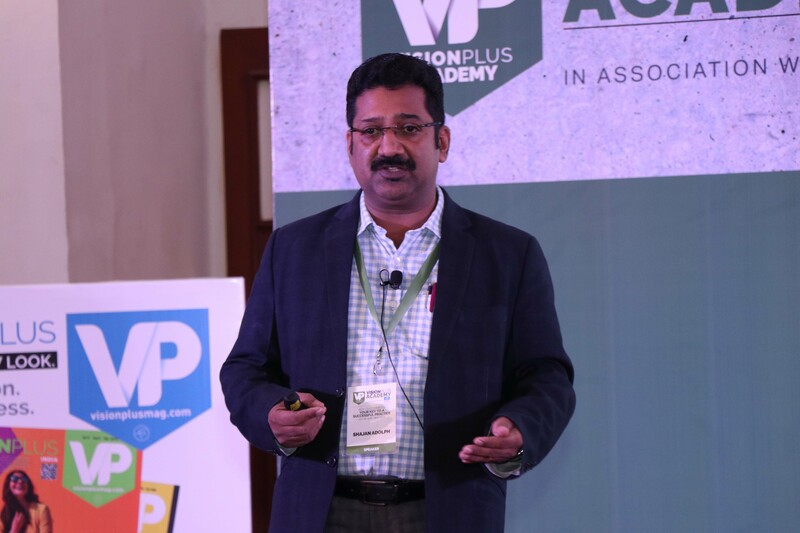 To understand more on the VP Academy held at Delhi – Please feel free to visit – https://vpacademy.fourplusmedia.com. Also, take this opportunity to thank ESSILOR for partnering us in this journey, and Augustino by making it a golden moment – showcasing their 18 Carat Gold Frames.